If you have a room for quilting, you need to make sure that you get enough space to keep all the equipment you need there, no matter big or small. Many people have adjusted themselves with small quilting rooms. But now a day, the adjustment is not needed. 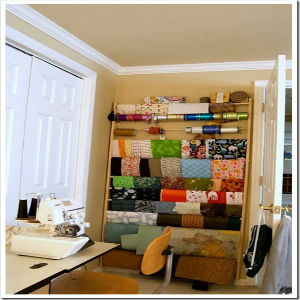 There are a lot of ways where you can fix the quilting room that too for a low cost. Enough space is needed to keep the scissors, pins etc. So if you spend some time in fixing the quilting room you will be getting a good space for your work. The main places where a quilter moves into are the sewing machine, the ironing table, and the cutting mat. If you check in many quilting rooms, all three will be in different directions. If you bring these three together with a distance which is not so far, you can get enough space in the quilting room. Lighting is needed for a better quilting especially, the cutting table is the place where more light is needed. You can opt for clamp-on desk lamps which are quite adjustable and allows you to move the light wherever you need. A good floor lamp can also be used as it also provide good lighting which falls everywhere in the quilting room. 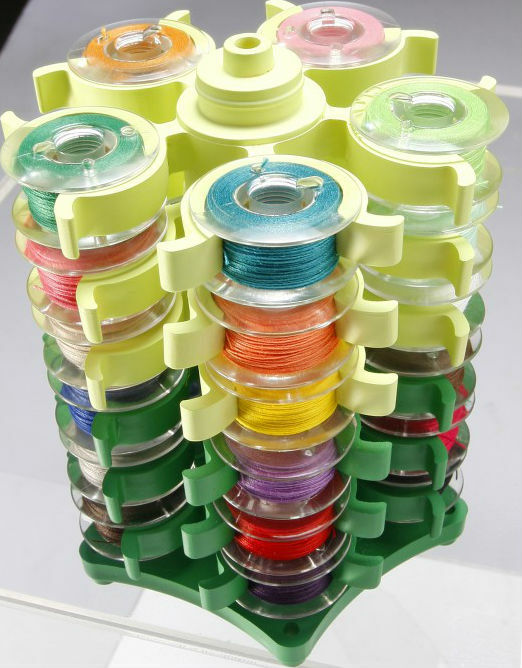 Fabric storage is one of the major concerns that is faced by most of the quilters. Fabrics are packed into the dresser drawers and then to the boxes. 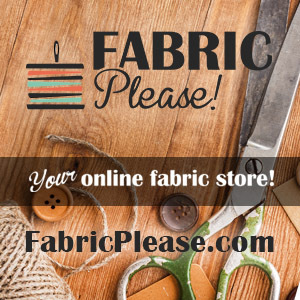 When you find difficult to stock more fabric is when you think about having more space. But if you think for a while, you will understand that if you have folded the fabric properly, you would have got enough space. 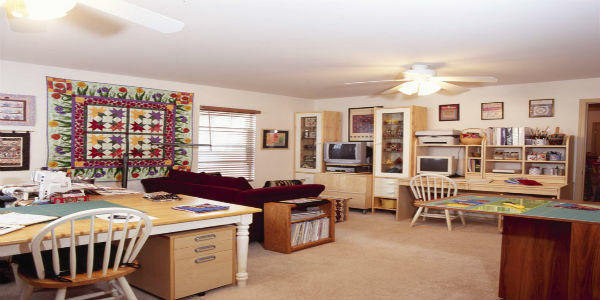 If you carefully look at your quilting rooms, you will find different ways to get more space which can be used wisely. It is important to handle the rulers properly to make your quilt look spectacular. The quilting machine should have an extended base. Make sure to mount a small plexiglass at the long arm of the machine’s throat to provide a larger surface area. 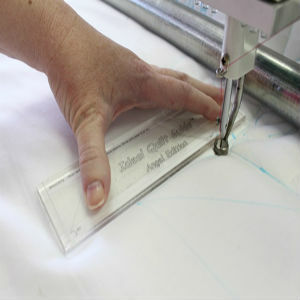 You can also make use of rubber or sandpaper dots as an adhesive to reduce slipping in the ruler. It can also avoid the unwanted needle contact that way. It is imperative to obtain a proper grip when handling the ruler. When using a long arm machine and a ruler, make sure to coordinate your hand movements along the ruler to ensure stability. Let the forefinger and thumb of your non-dominant hand be laid on the ruler. Take advantage of your other fingers to grasp the ruler’s edge at different points. Now, the region between your forefinger and thumb is known as the sweet spot. Establish control in this area for better safety and oversight. Allow these two fingers to point to the hopping foot all through the process. In the sequence, you might need to switch your hands. Use the dominant hand to hold. 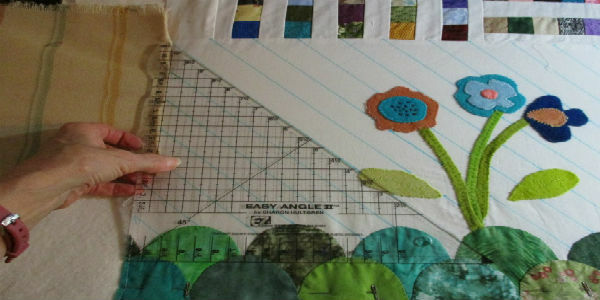 If suppose you are using a shorter ruler, then slide it as you quilt. However, never forget to keep the hopping foot between the sweet spot. 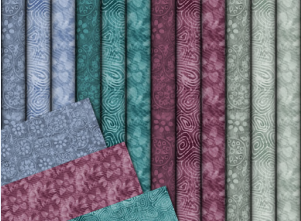 It is necessary to give the needed press to acquire stability while quilting. To arrive at the exact amount of pressure that needs to be applied on the ruler, you can try it on a piece of paper. Calculate the pressure in both stances. Find out how much force is required to move the paper as well as to prevent it from moving. The level at which both the pressure integrate should be applied to hold the ruler. The way you hold the ruler allows the machine to move freely. You can explore more ways to quilt by practicing good ruler control and safety.